Hi my dears! Want to do something creative and fun! DIY decor ideas for your home will help you bring a new atmosphere to your home. Try to redecorate your boring and blank space of your home with something unique and eye-caching. Here are some ideas that we collected for you. All you need for this project is ropes…many ropes and the fun may begin! Check out our Brilliant Rope Decor Ideas That Will Leave You Speechless and tell us which one is your favorite. 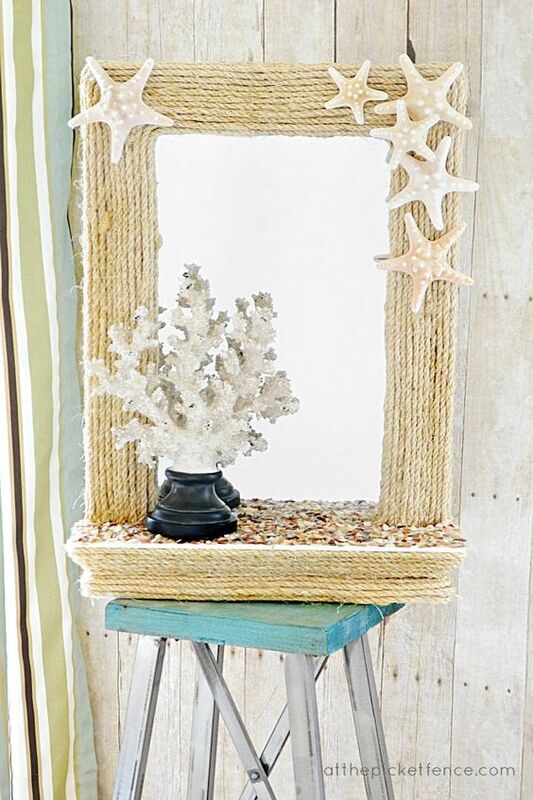 Transform your mirror into an extraordinary decorative element. 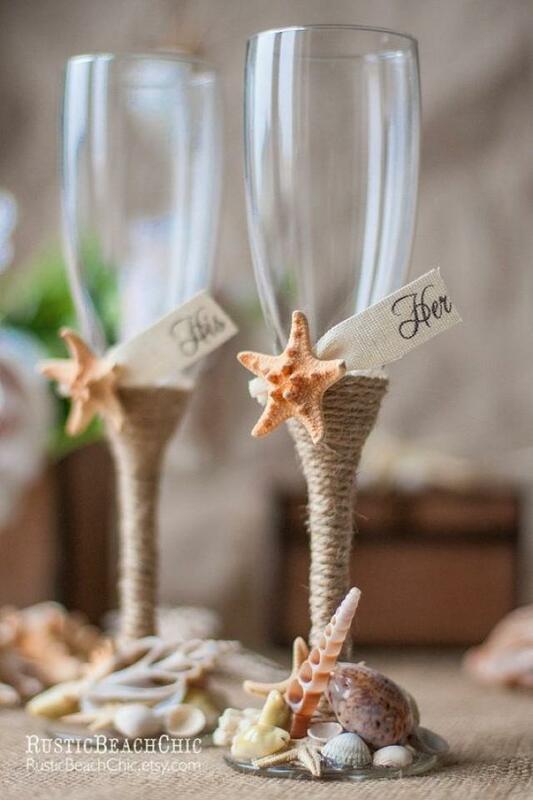 Make it nautical combining rope as a material and starfish. Ropes are perfect for decoration of a candle holder. You may play with your creativity here. 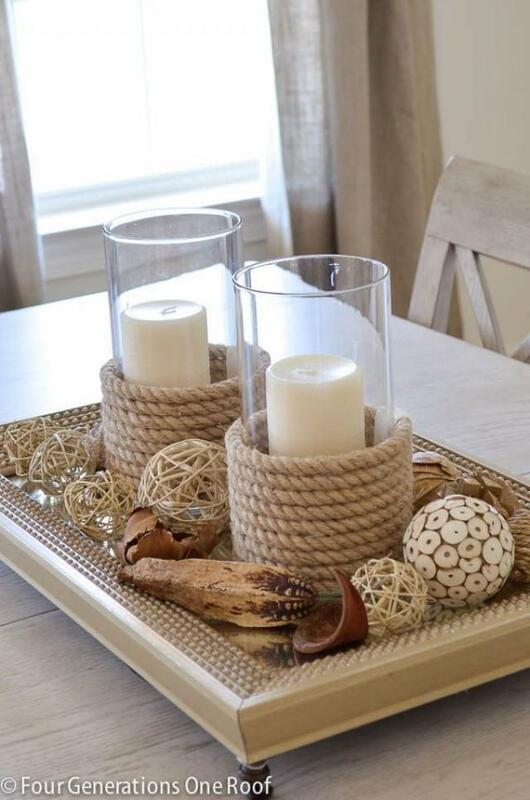 Rope candle holders look chic and cozy. 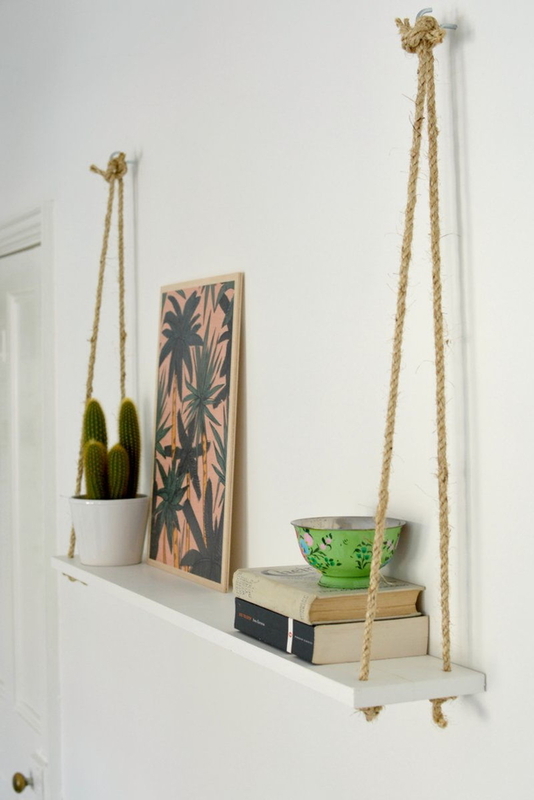 Decorate your room with rope decor on a budget. 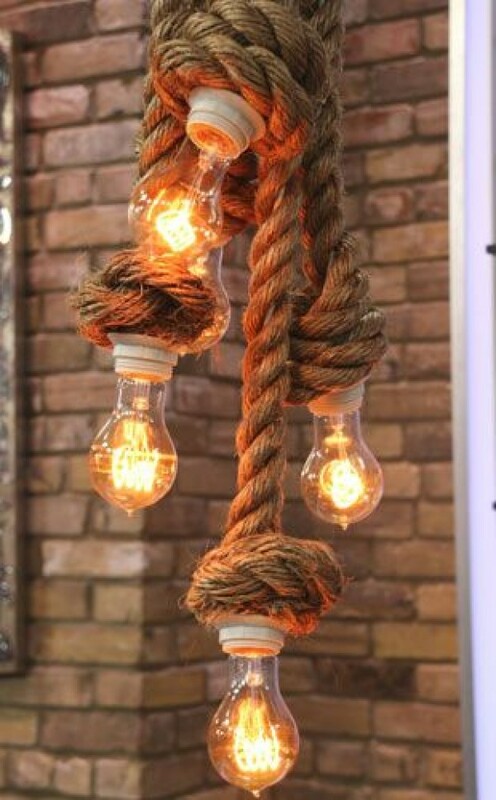 Light bulbs and ropes make quite catchy combination. It is great for an industrial or rustic home interior. It is a unique piece that you may do it on your own without many efforts. 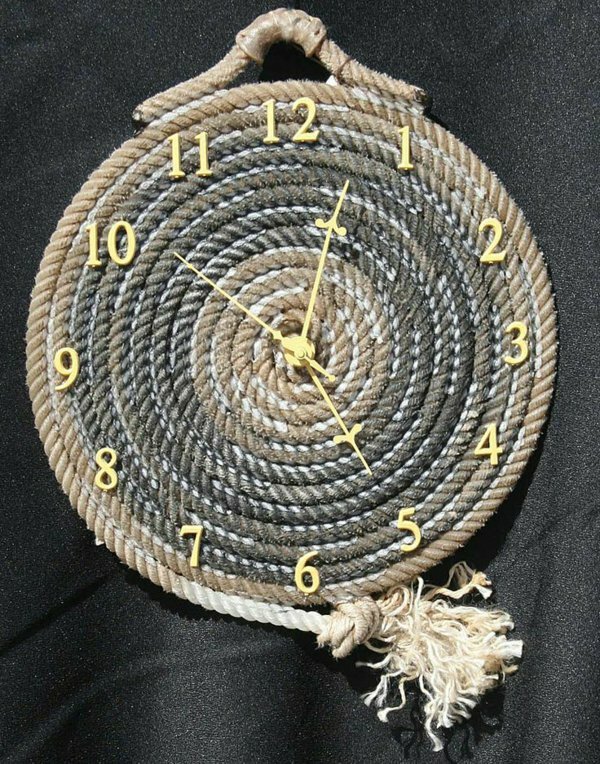 What about a wall clock made of ropes? 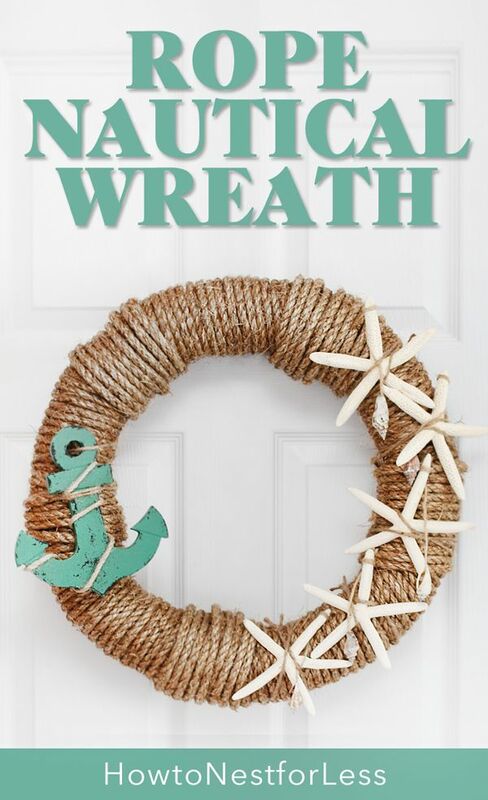 This is a brilliant idea of rope decor. It looks cool and creative. Get some inspiration and start working on your own. Hanging bookshelves are a smart solution that looks really great. Tying a rope on a shelf is a simple hack that will save you a lot of money and time. Check out our following example and try to do it on your own. How about making a whole room divider out of ropes? This project will take you more than a weekend to incorporate, but it save you a lot of money and you will get the divider that you want. 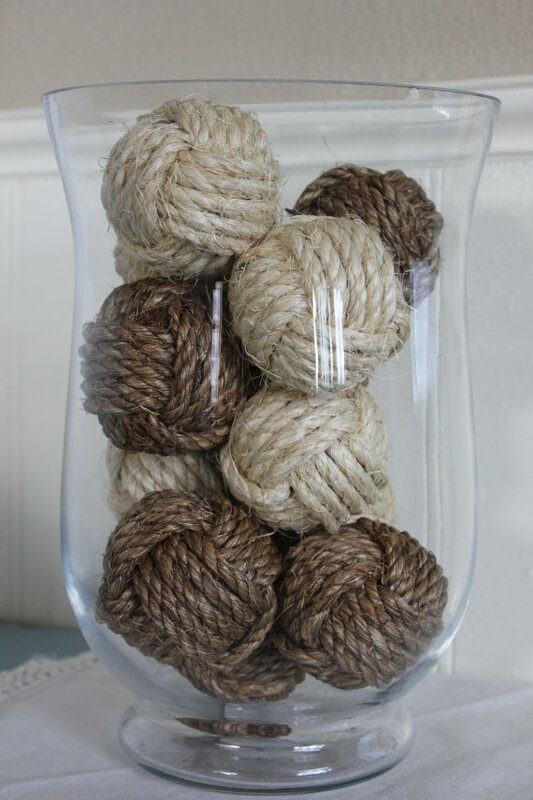 Rope decor vase is another great and easy idea that you may do it as a decoration for your home. Try to change the ordinary look of you vase with adding rope on it. Check out our step-by-step instructions on the pictures below. 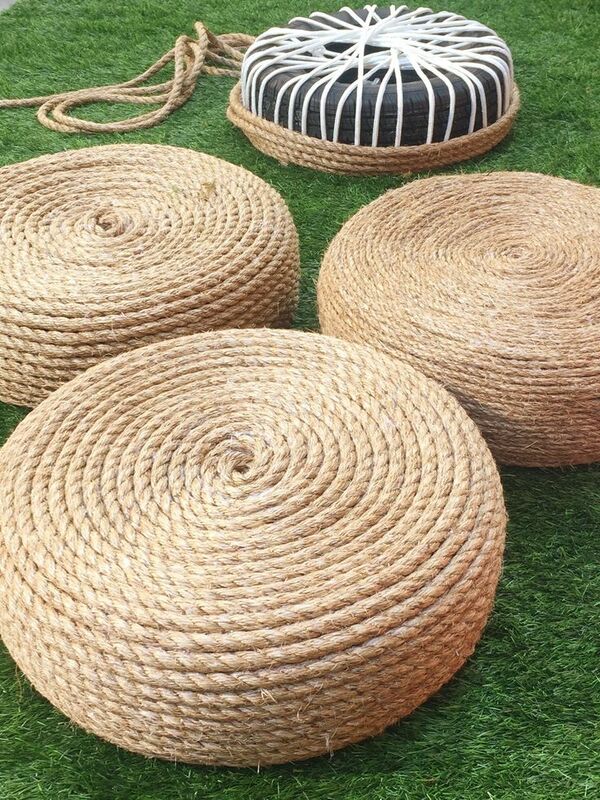 The following rope ottomans are great solution for your garden or for your indoor interior. Using only the materials that you already have, this is a great low budget solution. They look great and practical.